I’ve been missing for a couple of weeks…settling in to a new job and fighting one helluva a monster flu (losing my voice much to the joy of my colleagues!) had sent me into a coma every evening. There was an upside however to being unwell, I lost my appetite and a few lbs went missing without even trying…happy days! We have moved offices, we are now in the Cornhill area of London. To me it feels like proper London, cobbled streets and cute alleyways with Harry Potter-esque pubs to dive in from the cold. More upsides are that it’s an awesome 30 minute journey from home and one of my friends works round the corner, so it’s a winner all round. My appetite has returned in full force. I am back to searching for new and different restaurants to try. As you will know from my previous post I am on a mission to find the equivalent of Din Tai Fung, in London. My Singapore friends shared an article that my exact wish is about to come true…excited much! One of the restaurants I have wanted to try since my first week is Ping Pong. They have nine restaurants dotted around London, one of which is Covent Garden. The exterior is deceptive. The restaurant is vast, the seating spaciously covers four floors. We dined on the lower floor which usually, you feel when this happens, that you’re going to the less decorated or less important area (in my opinion! ), but it was exactly the same as the others, the decor spreads equally throughout and each floor is just as busy! I was immediately excited when I spotted that you order in the exact same way as in Din Tai Fung…it’s simple, quick and when you have an awesome waitress like we did, the experience is awesome. Her name is Natalia. 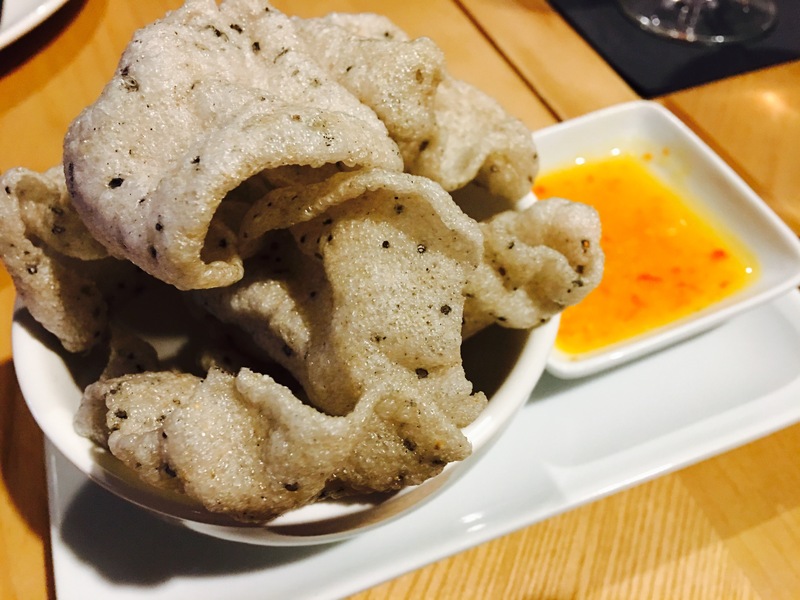 Whilst deciding what goodness was going into our mouths (I actually just wanted to hand over the menu and say “Yes I’ll have all of that please”), Natalia suggested we try the Black Sesame Prawn Crackers. I sometimes find these crackers too oily but not these little beauties, they don’t leave that oily film on your fingers and they have a slight kick when you have a few dips in the chilli sauce! If you haven’t yet tried one of the Ping Pong restaurants, I highly recommend it. They even do an all you can eat buffet on a Sunday! One thing is for sure, I will be back. Try it out, you’ll love it!